55 years old. Finished only junior high school and currently owns a gas station. He is treated as a VIP at banks because he is cash-rich and owns some prime real estate. Among his old school buddies, he is the most successful businessman. Although he was a mediocre student, he is good in making money. He treats most people with little respect and indifferently but is a caring husband and father. 54 years old. Wife of Chun-bok and mother of Ji Wan and Ji Soo. She is the eldest daughter of a school teacher in the countryside. In Sook is a free-spirited and outgoing young girl, in contrary to what her mother wished her to be, a proper lady with manners, greatly disappointing her. She was also the most popular girl in her school. She was pregnant with Jae Ho’s baby. When Jae Ho suddenly passed away, she married Chun Bok who was also one of her suitors. After marriage, though she no longer has a bubbly and outgoing personality, In Sook still carries herself with confidence. Half brother of Chun Bok. Although he is cold, abrasive and reserved, he is honest and down-to-earth in front of Chun Bok. Due to the age difference between them, Hae Joon treats Chun Bok as if he is his father. He is nice to his nephew and niece, and has a good relationship with his sister-in-law, In Sook. 30 years old. Son of Chun-bok and In-sook. He works for a large chaebol company. With his handsome look and charming personality, he’s also a conversationalist. He has a close relationship with his mother and father to the point that he is like their friend. He is also aware that his father loves him dearly. And this is a slight burden in his life. But sometimes he can also act like a fussy son. 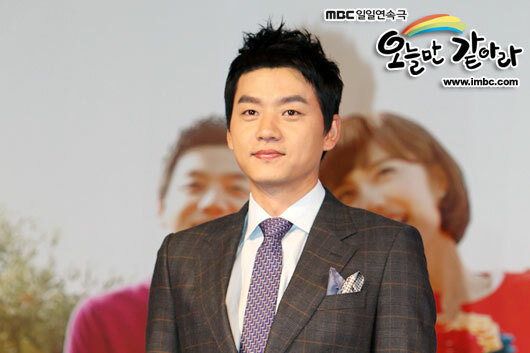 He wishes to marry Hee Joo whose father is Sang Yeob, a family friend, but the marriage is strongly opposed by his parents. 27 years old. She is the eldest daughter of Sang Yeob and Jae Kyung. She works in PR division of a department store. Like her mother, she is a penny-pincher and very discriminate about what she likes and dislikes. She never doubts about Ji Wan’s love for her. Hee Joo falls into confusion after her parents and Ji Wan’s parents strongly oppose their marriage when they meet to discuss about it. After Ji Wan assures her that he will persuade his parents to change their mind and approve of their marriage, he suddenly changes his mind and avoids her. 25 years old. Friend of Hyo Jin. She is currently studying to be a civil servant. Even in desperate situations, she looks at the positives in life. Through her friend Hyo Jin, she gets to know Ji Wan. And with his help, she gets a job at Ji Wan’s father’s gas station. She also stays in a room at his family house. As she gets to know Ji Wan’s family, she gradually becomes closer to them like a daughter. This fills the hole in her heart. But as she develops feelings for Ji Wan, she despairs that she is not good enough to ever be with him.